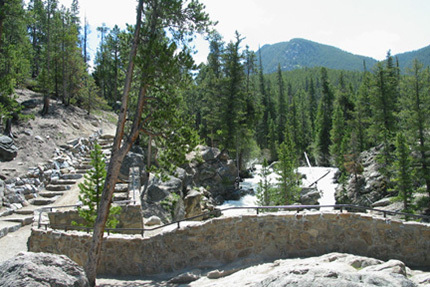 Due to high visitation, trail repairs and improvements are in constant demand in this park. Our much-loved trails require on-going attention to keep them safe and in good condition to protect park resources. 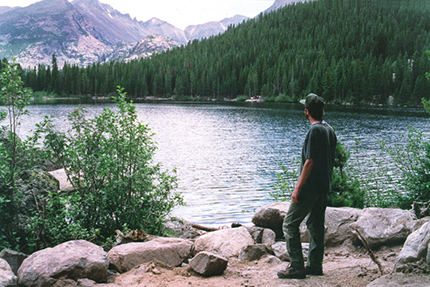 For many, hiking the more than 350 miles of scenic trails in Rocky Mountain National Park is the ultimate wilderness experience. For others, strolling the crushed gravel handicapped accessible walkways is the best way to share the scenic wonders of the park with family and friends. Whatever the venue, trails in the park are valued for the access they give to some of the most magnificent places in Colorado. 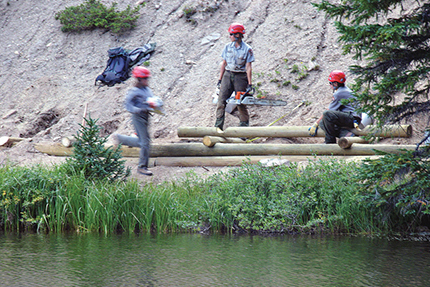 Since 1985, the Rocky Mountain Conservancy has raised funds for numerous trail improvement projects in the park, including the handicapped accessible trails around Sprague, Lily and Bear Lakes, the Storm Pass trail, the Adams Falls trail, the Mills to Black Lake trail, the trail from the Loch to Sky Pond and a trail around Lake Irene to protect the area from further erosion and other environmental impacts. Most recently, funds made possible a 4-year improvement project on the trail from Albert Falls to Lake Haiyaha, a trail that has always been classified as “unimproved” which will now is more easily located, safer, and beautifully crafted and improved to protect the resource more effectively. Your gift to the Trail Improvement Fund will be designated for any current high priority trail project that has been identified by the park, or, if fundraising is complete, the donation will be used for the next trail project on the list. 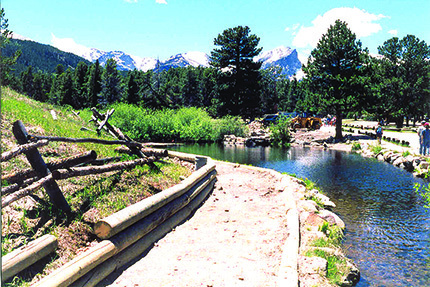 Handicapped accessible, this crushed gravel trail circumnavigates Lily Lake, offering scenic views of Longs Peak and Lily Mountain. Located in the Kawuneeche Valley on the park's west side, this one-mile crushed gravel loop is accessible to all ability levels. 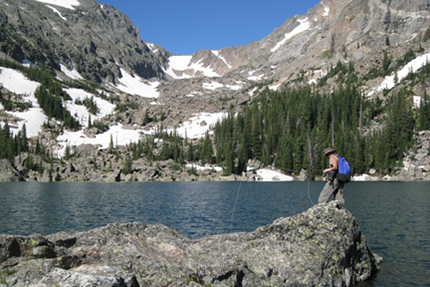 In 2006 the Rocky Mountain Conservancy raised funds to construct a trail around this scenic subalpine lake situated at Milner Pass along Trail Ridge Road. 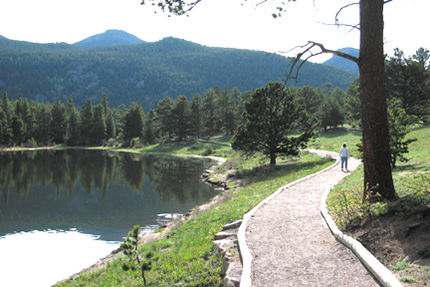 The handicapped accessible Sprague Lake trail offers unparalleled views of the Continental Divide. A classic rock retaining wall overlooking Adams Falls and trail reconstruction on the west side of the park was completed in 2001. 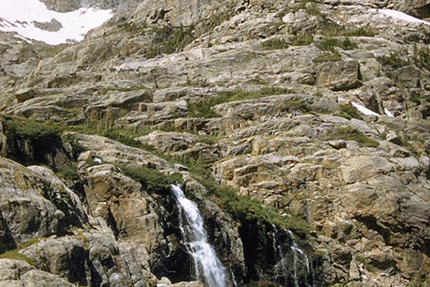 In 2011, the Rocky Mountain Conservancy raised funds to re-route and repair the trail in the Alberta Falls and Lake Haiyaha area. The spur trail to Lake Haiyaha, previously labeled “unimproved”, was properly built to protect sensitive resources in the area. In 2003 the Rocky Mountain Conservancy raised funds to reconstruct this scenic trail between two popular hiking destinations in Glacier Gorge. 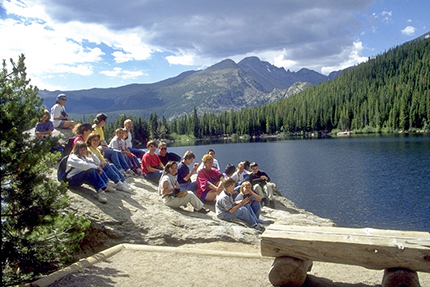 This crushed gravel handicapped accessible trail around one of the most visited lakes in Rocky Mountain National Park makes this site available to even more people.